Nabr Network can help your entire management company through our enterprise software for HOA communication management. We know communication is a daunting challenge for our industry. Our leading-edge solution sends a powerful message to your current and prospective clients that you’re serious about communication. With our enterprise solution, you can roll the system out company-wide so managers and their assistants can communicate to their entire portfolio of communities from an easy-to-use dashboard. Managers have found the dashboard a huge time saver as they can manage all of their communication from one place with one login. Managers are saying our platform makes them fast and effective, and their residents love it. Nabr Network provides affordable pricing and easy terms to roll out to a portion or your entire portfolio. There are no set-up fees, nor any add-on fees. The features you see are exactly what you get, all for one price. One more HUGE advantage to using Nabr Network is our outstanding support. We take the load off you and your staff on technology issues. Your residents contact us and we help them with registration and log-in issues, so you don’t have to. Our support also includes no-cost training sessions and we always respond quickly to you and your residents. Simply, think of us as an extension of your staff. You have an option to include your brand on our technology. 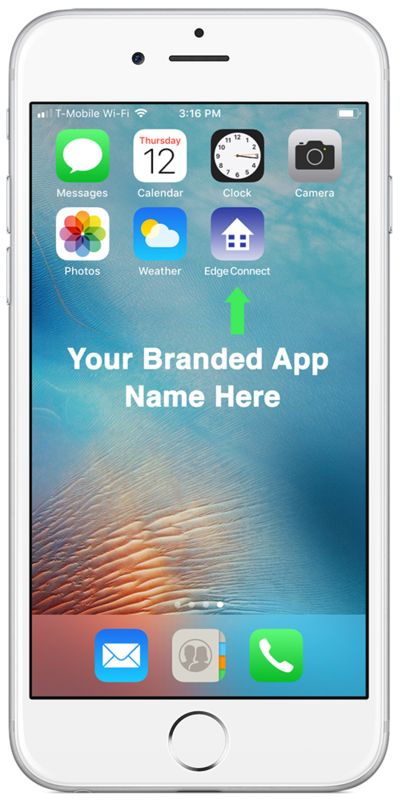 We create a downloadable branded mobile app with your company name or a unique name of your choice. This means a mobile app button with your custom name, logo and colors. HOA residents can easily download the app in iPhone and Android formats. iPhone users download the HOA app directly to their phone from Apple’s Enterprise platform. Android users download from the Google Play store. We make the download easy by providing our short-code which sends a user a quick download link via text message. Your logo will also appear on the header of your community websites. We create a technology webpage that showcases your branded software. This is a powerful sales tool. Nabr Network will provide branded marketing brochures that you can share with your potential customers. This is a differentiator when seeking new business as very few companies have their own app. Our customers have found their branded mobile apps to be a huge advantage over the competition. All our great features found in the Nabr Network mobile app are completely available for use in the branded enterprise app. And, our ongoing commitment to development will allow additional functionality to be added to the system. Communication to customers begins with listening. We listen – and respond – to feedback from you and your clients. Delivering exceptional experiences through technology and customer support. Nabr Network Welcomes New Client: California-Based Tamarind Management Team, Inc.
© 2019. Nabr Network. All rights reserved.